The February 2018 release is our first platform update for the new year and we look forward to seeing how you like these new features and to also get your feedback. Below is an overview of all new features and/or improvements made to the system.. Dynamic Coupons was the #1 most requested feature from our December 2017 yearly survey. We asked all of our customer’s to openly share with us feedback over how we’re doing, where we can improve, and what features would you like to see added in 2018. With dynamic coupons, we not only introduced a great new feature, but we also updated our coupon settings area to be cleaner and easier to work with. Now when you create a coupon within TrustSpot you have the option of selecting to either create a Static or Dynamic coupon. 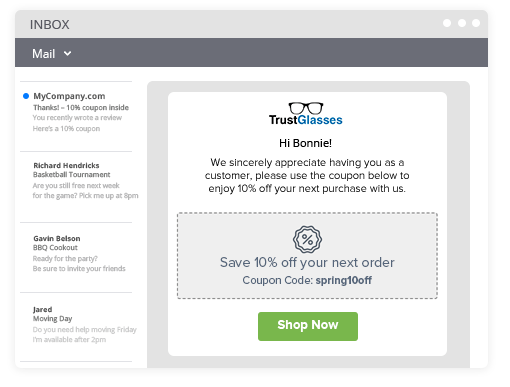 So what’s the difference between a static and a dynamic coupon code? Static: This means that every customer that leaves you a review will receive the same code. Dynamic: This means that every customer will receive a unique coupon code. To learn more about this feature, check out our latest support guide. We’re always looking at ways to make setup even easier at TrustSpot and part of that is to see how our customers are interacting with different feature screens. We commonly hear if we can minimize all of the scrolling on our email settings page and instead condense the content. With today’s update, we are releasing our newest email settings area. 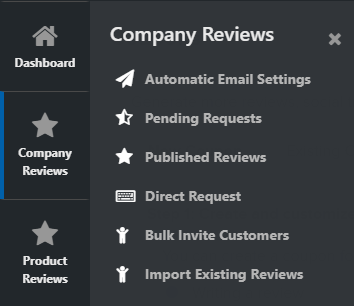 With this new design, its now easier than ever to see your settings at a glance, preview your email (and see changes Live as soon as you click Save). In addition, the other settings are now in streamlined tabs along the top, instead of forcing you to scroll down. You can also see what the email will look like on mobile devices, by clicking the “mobile icon” at the top of the preview area. We also improved the “Send Test” feature, where now you can enter in a custom email address for it to be sent to (previously it only went to your account email). Since our initial release we have continually added new features based on customer feedback and our menu has grown larger to fit everything that has been released. We wanted to create a new menu design as part of a larger design refresh project we have planned for this year. The new menu design is now skinnier which will allow for more screen space for the feature pages. You can see the new menu by going to: Marketing > Coupons .. we will continue to roll this design out to more pages very soon (based on your feedback).